Last post I explained that in our culture we are “Selfie Stuck”. Our self-centeredness as a global community impacts our habits and behaviors in ways challenging to recognize. Part 1 emphasized how our Selfie Stuck attitude impacts our prayers. Part 2 investigates how it affects our Study of Scripture. 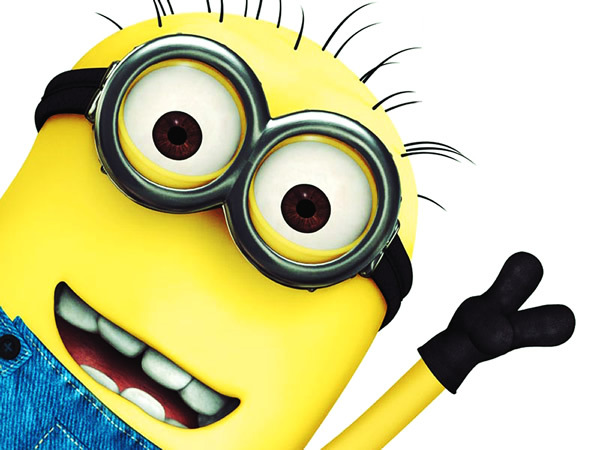 I recently enjoyed watching Despicable Me 2 with our younger son. Having watched the movie before I was able to pay better attention to the movie’s underlying themes. Gru, super villain turned entrepreneurial adoptive father, is pulled out of retirement when the world was in great need. Unfortunately, the spy agency was so focused on finding what it was looking for that it was not able to recognize the perspective Gru brought them. We do the same thing with scripture today. Our focus on finding truth causes us to forget the cultural perspective that pollutes our pure intentions. This happens frequently when we bring a personal perspective to Bible passages that were written for the whole nation of Israel or entire churches in important cities. For instance, look at Romans 12:2, “Do not be conformed any longer to the pattern of this world, but be transformed by the renewing of your mind.” When you read this verse are you primarily consumed with the renewing of your mind or are you consumed with the renewing of the minds of those joined together as part of your church (which includes you but is not exclusively you!)? There is certainly personal application that comes from scripture but we often ignore the community God’s Word was spoken to originally. I encourage you, Study God’s Word! As you do this, continue to ask God to reveal how you are “Selfie Stuck” so your perspective on scripture Study will continue to grow. The next time you see one of Gru’s Despicable Me Minions, let it remind you of this message! The next time you pray; ask yourself who will benefit if God answers YES. Are you praying for your benefit or for God and His Kingdom? Are your prayers Selfie Stuck? I was exiting the morning worship service and was in conversation with my Mother-in-Law about an injury my older son, Ben, had endured through sports. She shared she would begin praying for Ben but wanted to make sure she prayed in such a way that the result would impact the Kingdom. This thought was intriguing so we continued to discuss her thoughts. She explained one of the things she was learning is that her prayers had become focused on benefiting herself. She wanted the results of her prayers to benefit God and His Kingdom. Wow!!!! Think about the ramifications of taking this one simple step- Ask who will benefit if God answers my prayer with a YES! Apply this same approach to personal financial needs, issues with relationships or even societal needs such as elections, natural disasters, church budgets and more. This prayer method is not a formula; it is an attitude. Focusing ourselves on God and building His Kingdom is our goal. The Bible’s book of Matthew in chapter 6 verse 10 is in a section teaching us about prayer. It says it so well, “your Kingdom come, your will be done”. Don’t allow your prayers to be Selfie Stuck! The next time you pray, ask yourself who will benefit if God answers your prayer just as you prayed it. Are you praying for your benefit or God’s?